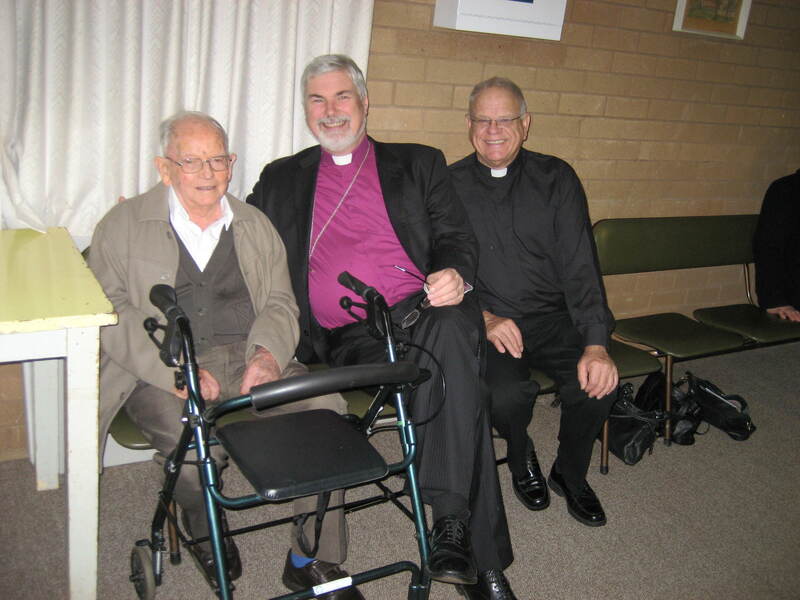 The congregation of Holy Trinity Anglican Church welcomed Rt Revd John Parkes AM, Bishop of Wangaratta on Trinity Sunday to celebrate their Patronal Festival. The Bishop preached an illuminating sermon on the Trinity and then celebrated Eucharist with the local congregation and parishioners from Numurkah and Wakiti Creek. Churchwarden Mr Keith Schier warmly and with good humour welcomed the Bishop to the western border of the Diocese and invited the Bishop and the Venerable John Davis, Diocesan Archdeacon, to a lavish morning tea in the Parish Hall. 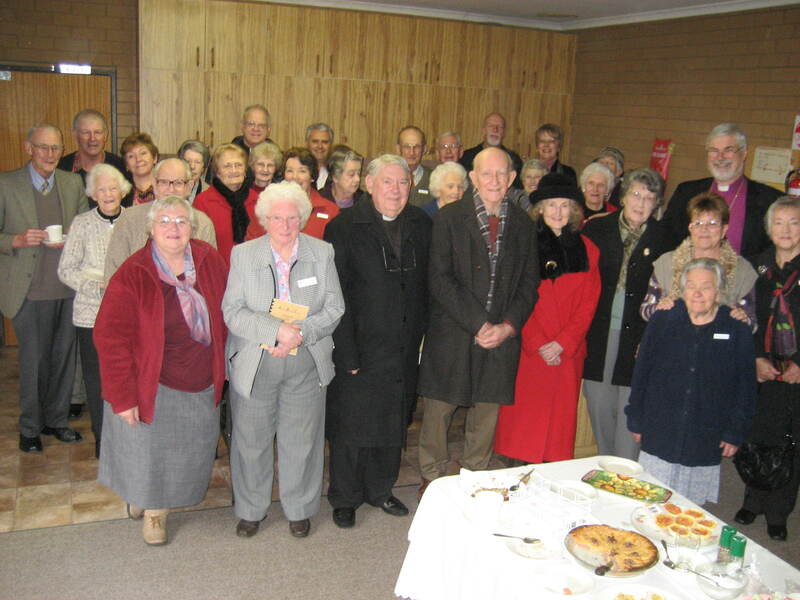 In response Bishop Parkes commented that he had been to the Nathalia Anglican Strawberry Festival on two occasions, but this was the first visit to Holy Trinity. “The Church is delightful,” he said, “especially with the newly laid carpet.” He was also was very appreciative of the warm hospitality.